Lois Scogin, Cam Woolverton and Brien Smith. Brien has over 30 years of experience in financial services and 25 years practicing financial planning. He is the founding partner of Traditions Wealth Advisors. Brien received his BBA from Texas A&M University in 1981 with concentrations in Business Management and Economics. He went on to study Economic Graduate courses at the University of Houston. He then achieved his Certified Financial Planner (CFP) designation in 1994. Brien served as Vice President and local Financial Planner for Carter Financial Management’s Bryan/College Station location for ten years. Prior to his position with CFM, he worked for IDS/American Express Financial Advisors as a financial planner and training manager for five years. He volunteers considerable time to his positions on the Investment Committee overseeing over $50 million for the Diocese of Central Texas and a local troop of Boy Scouts of America. Cam has over 25 years experience in the financial planning arena and has been a Certified Financial Planner (CFP®) since 1994. He joined Traditions Wealth Advisors in 2013 as a Wealth Manager. Cam received his Bachelor of Science degree in Computer Science from Texas A&M University in 1986. 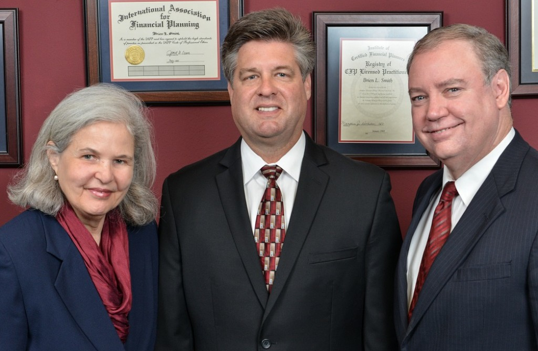 Prior to joining TWA, Cam established Financial Solutions in 1996 and was a CFP® practitioner offering asset management services and comprehensive financial planning to individuals, small family businesses and other financial planning professionals through 2008. From 1998 – 2008, Cam was also a Vice President for Carter Financial Management as well as an Investment Advisor for Raymond James Financial Services offering fee based financial plans, investment securities, and money management services. Cam also was previously Vice President/Director at Woodway Financial Advisors, A Trust Company from 1988 – 1996. His past involvement in professional organizations includes the FPA of Houston, where he was President in 1999, the Houston Estate and Financial Forum, and the Planned Giving Council of Houston. He is currently a member of the FPA of Austin. Cam founded Paragon Virtues, LLC in 2009, a holding company for real estate management services and internet ventures. His charitable work over the years has included Big Brothers and Sisters of Houston, New Life Associates and Mobil Loaves and Fishes. 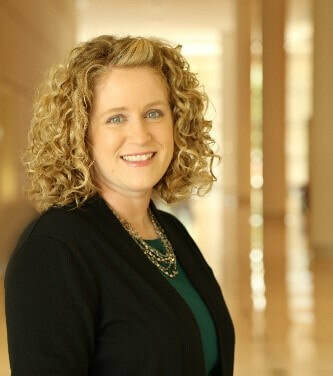 Sarah Buenger joined the Traditions Wealth Advisors team in September 2018 as director of financial planning. Buenger brings more than 19 years experience in serving high net worth clients through comprehensive financial planning. Lois has over ten years of experience as a financial analyst. Her duties include portfolio analysis, research, and general client service work. She has completed the course work for her CFP designation. Lois graduated from Bucknell University in Lewisburg, PA with a BA in Mathematics. In addition, she has a M.Ed. from Lesley College in Cambridge, MA and an MBA from Texas A&M University. She has been a key partner in the team at Traditions Wealth Advisors and she has been working with Brien Smith long before its inception in March of 2003. Lois joined Carter Financial Management in March 1994 on part time basis. Previously, she taught mathematics at the middle school and high school level in Belmont, MA. In addition, she served as a United States Peace Corps Volunteer in Nigeria for two years. After a two-year leave of absence from Carter Financial Management, Mrs. Scogin returned to work with Brien in June 1999. Michael is a 1982 graduate of Southwest Texas State University (Texas State) where he received his Bachelors of Business Administration with a concentration in Management. Prior to joining the staff at Traditions Wealth Advisors, Michael worked for Courtyard by Marriott in guest services, offering guests outstanding service during their stay at the hotel. He worked for 29 years in various capacities for the TJX Corporation, (T. J. Maxx). He worked as an area lead, cash office manager and a new store trainer before moving to College Station where he worked as both the Store Operations Manager and the Store Merchandising Manager. At T. J. Maxx, Michael worked daily providing outstanding customer service to his customers as well as providing a satisfying work place for the associates. Outside of work, Michael is very active in his church. Michael teaches Faith Formation and volunteers at the Aquinas Bookstore. He is a member and officer in the Knight of Columbus and participates on the Men’s (ACTS) Retreat Team. Michael has served as co-director of the retreat. He has also served as the co-facilitator, retreat coordinator and supply inventory coordinator of the retreat core group. Raoul Bascon, Spencer Fredericks, Brian Prescott and Marissa Heffley. I am a graduate student pursuing a Masters in Financial Management at Texas A&M University through the Trade Risk and Investment Program (TRIP). Born in Dallas and raised in New Braunfels, I'm a true Texan but call any place with a Catholic Church home. You can find me meditating on Scripture in the morning and enjoying life with my friends in the evening after a good day's work. I chase after the Truth in the hopes that I will one day meet Him. An avid runner, I'm on track to run 1000 miles in 2018 and run a marathon in under 4 hours in 2019. I love spending time with God, my family, my friends and the outdoors. Long term, I hope to be a good father, loving my family, living in the Texas Hill Country and working as a trader at a financial institution. I am a Senior Finance major at Texas A&M and I'll be graduating in May of 2019. I hope to move onto a career in investment analysis or financial management once I graduate and potentially get am MBA or master's degree in finance after working in the field for a few years. I took part in a semester-long exchange program in Jonkoping, Sweden n the fall of 2017 which inspired me to want to travel more and eventually work internationally, if I have a chance. In Sweden, I joined the university rowing association, and at A & M I've been involved in several organizations including a freshman leadership organization for two years and A & M's Financial Management Association. Outside of school and work, I enjoy biking, playing disc golf, playing pool and just spending time outdoors with friends. I am a Senior Economics major and Mathematics minor from San Antonio. I will be graduating in May of 2019 and plan on pursuing my education in economics. Eventually, I hope to earn a PhD in Finance academia due to my passion for economic research and ever growing interest in the financial markets. When I am not conducting research or studying, some thing I enjoy doing are hiking, watching documentaries, reading and playing racquetball. Additionally, I am also a member of the Aggie Investment Club as well as a tutor for Texas A&M student athletes in economics and econometrics courses.